I certainly am waiting for a juicy discount to get these. No way I'm paying that price for these "dated but charming" miniatures. 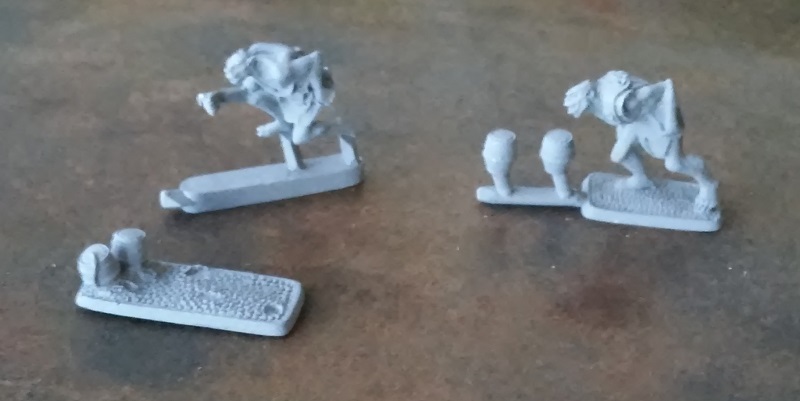 I recently got some very old Ral Partha miniatures from the 80's (Tom Meier's Goblins) and they are more detailed than these Orcs. I received my parcel yesterday. I need to have spare time for opening it and have a close look. I think size could be compared to M222. Relying on my memory, they're smaller and less bulky than either M335 or M222. I like the idea to have orcs with many different scales. At the end, evil creatures should not be "standardised" too much. I would think that engineers would be big and butch, since they needed to be strong, so twee ones don't look right to me at all. I'm very disappointed with these figures. They look more like 20mm or at best 25mm. Well my figures have not arrived yet, but there's one thing I suggest to be considered: Of the new orcs there's one (MM544) who is called "Snaga with torch". Remembering the differences in size that Chris uses it is correct that those Snagas are not that tall than common corcs (compare the old M335 Snagas). Though I think Master Barliman is absolutely correct saying that engeneers need to have a bigger and stronger body, because of their jobs. I've always been curious about the concept that "Snagas" are some sort of separate sub-species of Orc. In JRRT's writing "Snaga" appears to be just the personal name of two individual Orcs. Where does the "species" notion come from? Is it another MERP invention? I beg to differ Master Elf. 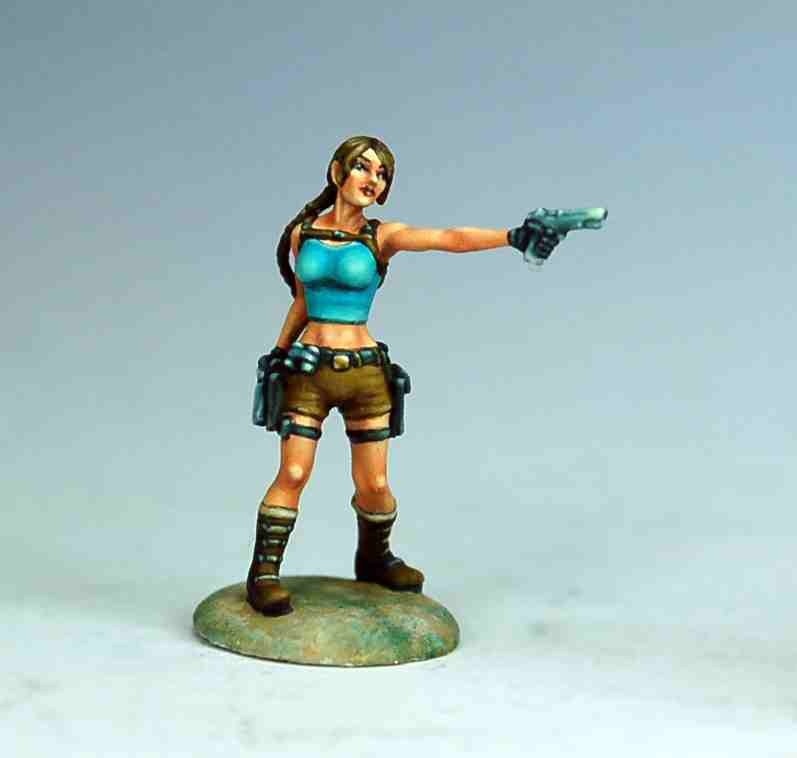 This miniature looks like a nice 30mm... but it is 15mm tall! In my opinion tiny miniatures look better with crisp details (as much as the scale allows). maybe there is somebody out there who is able to post a picture of these small figures . . . ???????? That would be very kind indeed. Personally I don't have a mobile phone nor, at present, a camera. I checked yesterday. Orcs are same kind and size as per M222. So these are standard sized. Sorry no picture yet master archer. I need to take time for this...which I lack a lot. Wait till you see them "in the flesh" (so to speak). They look disappointingly small and skinny alongside Mithril's other Helm's Deep and War of the Ring era figures. 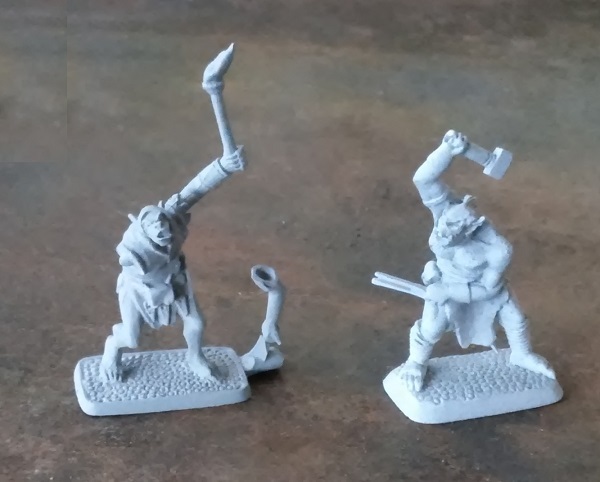 In particular compare them to LT9 - the most relevant Orc figure Mithril have put out so far. In my view the only Orc Engineer figure that compares in size and bulk is the "officer" - who, incidentally, has a rather nice shield motif. well definitly they lack muscles and head size... the size is correct but the thickness is missing... you can see that mainly on the third pic, the arm muscles are quite different! No matter about this comparison, I think that for such a figures, price of 11.95 Eure is lot of money. I will wait first suitable discount.... ! Well- A very big MERCI at this point to Master Milo for his energy to take those pictures and uploaded them! Quiet interesting to see what everybody here is talking about. The orc-examples Milo choosed are not that small in my memory . . . the M222 is not small at all, for my taste. I think- important is that those orcs can be count as a "group". All together they fit. I think I will have a look "in the flesh" in the near future because I do know a fellow who got them . . . at that time in the future . 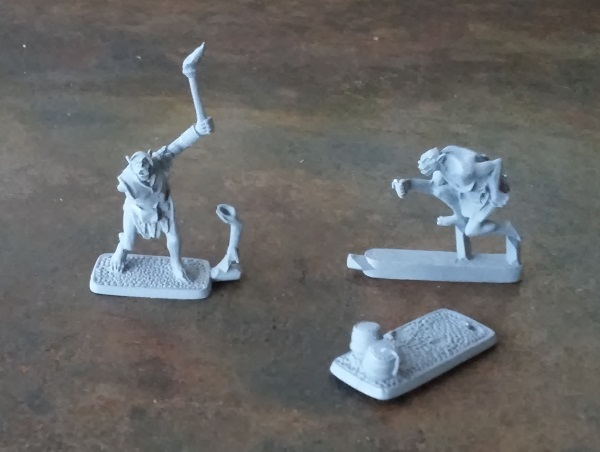 . .
Well, I received the new orcs some days ago and assembled them yesterday. 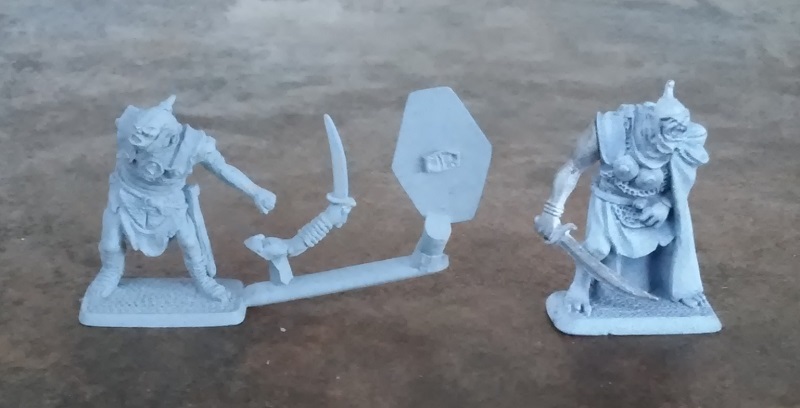 - Indeed those orcs are slightly smaller than others in the Mithril range (especially if you compare them with orcs from the old "Orc-Army-Set"). All in all I'm not too much disappointed at all. Though ... there's still a certain image in my mind about Saruman's Uruk-Hai, as they were described by Tolkien. Anyway, I'm glad that in the end those figures saw the light. I wish others would follow. Hm. Again I thought about all this. Four of the five new figures are called "Orcish", which implies that they're similar to Orcs, but not exactly the same. - Err, whatever that means. - Then I wonder why they're officially listed by Mithril as MM-figures though the subreferences clearly read 'M' for the old M-series. But all that might not be of any importance in case the last releases mean that the old M-series is not given up for good.